Physically active children are happier, healthier and achieve more. Tees Valley Sport, working with local partners and school leaders aim to help children and their communities become active by adopting a whole school approach. 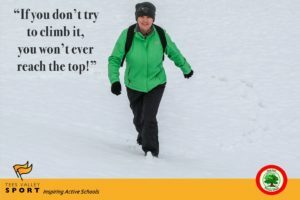 School staff are challenged to undertake physical activity and to openly celebrate the sport and physical activity that they already do. This influences young people and normalises physical activity as part of everyday life. It has also helped expand the relationship that young people have with the adults at their school. 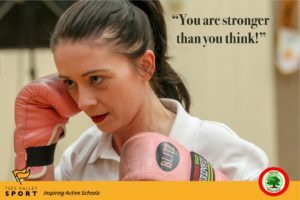 TVS Active Schools brings a range of National Initiatives together and embraces the power of local partnerships to help establish an active community. Typical local Partnerships may include; Tees Valley Sport, Schools, Public Health Authorities, Local Authority Sport & Recreation Teams. These partners can all contribute to a comprehensive approach to being active within the school community and local environment. 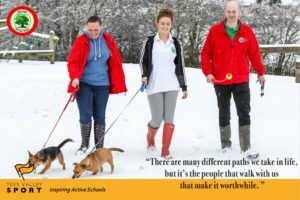 To watch a short film about the impact of being an Active School has had in Easterside Academy, Middlesbrough, Grangetown Primary School, Redcar, Rift House Primary School, Hartlepool and Tilery Primary School, Stockton please click below.